Happy hump day! 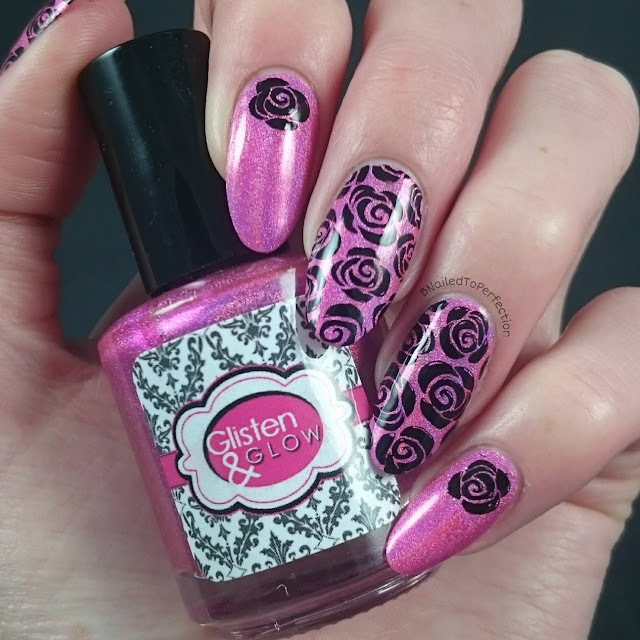 It's a short week for me as I had Monday and Tuesday off work so it's feels like it's nearly the weekend again :D I have had this mani sitting in my drafts for a while and I was meant to post something else today but that went down the pan! So it's a job good I keep back ups. 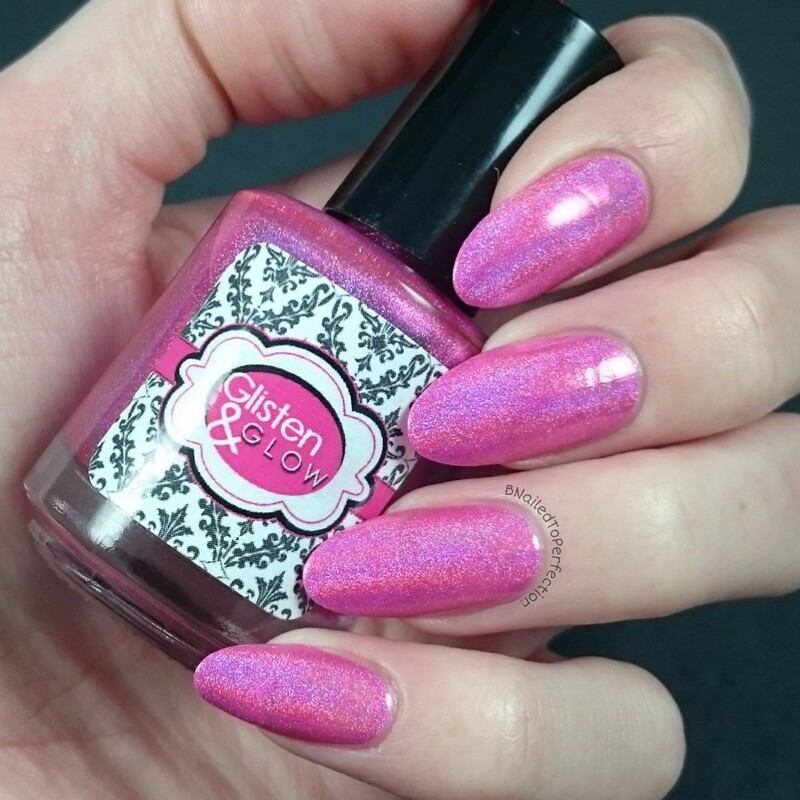 Raspberry Margarita is a gorgeous bright holographic pink from Glisten and Glow's Cocktails Anyone? collection. I have used three thins coats. This picture was taken in my light tent and you can even actually see the holographic finish peaking through. As the sun was not playing ball I took a flash shot. 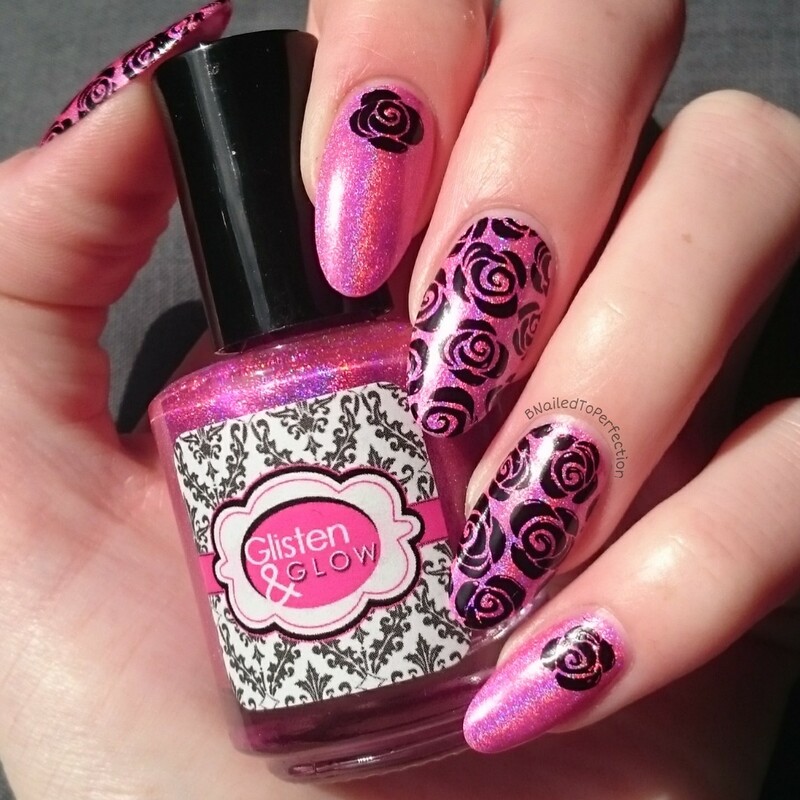 How beautiful is this polish?! I stamped some roses using MoYou Pro XL plate 07. 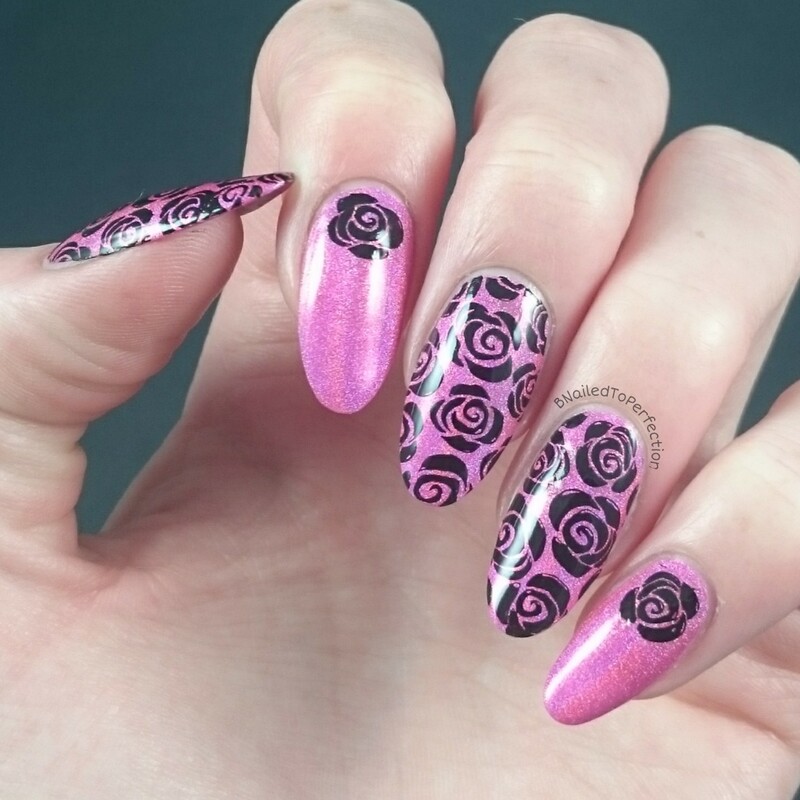 I added a single rose on two of my fingers. Then I sealed it all in with HK Girl fast dry top coat, also by Glisten and Glow. What do you think of this design? Do you have any polishes from Glisten and Glow's Cocktails Anyone? collections?